Does anyone remember Lemon Cooler cookies? They were made by Sunshine Bakery and came in a green box. We always had them around the house at summertime. When I was little, I thought they were so sophisticated. These refreshing little cookies remind me of Lemon Coolers, only using limes. The recipe comes to us via smittenkitchen, and originally from Martha Stewart. After making these tonight I have several suggestions that I will list after the recipe. You can make these with regular limes as well, but if you run into some key limes, they’re worth it. You could also keep the logs frozen for up to two months, and use them as the meltaway craving hits. 1. In the bowl of an electric mixer fitted with the whisk attachment, cream butter and 1/3 cup sugar until fluffy. Add lime zest, juice, and vanilla; beat until fluffy. 2. In a medium bowl, whisk together flour, cornstarch, and salt. Add to butter mixture, and beat on low speed until combined. 3. Between two 8-by-12-inch pieces of parchment paper, roll dough into two 1 1/4-inch-diameter logs. Chill at least 1 hour. 4. Heat oven to 350 degrees. Line two baking sheets with parchment. Place remaining 2/3 cup sugar in a resealable plastic bag. Remove parchment from logs; slice dough into 1/4-inch-thick rounds. Place rounds on baking sheets, spaced 1 inch apart. 5. Bake cookies until barely golden, about 15 minutes. Transfer cookies to a wire rack to cool slightly, just three or four minutes. 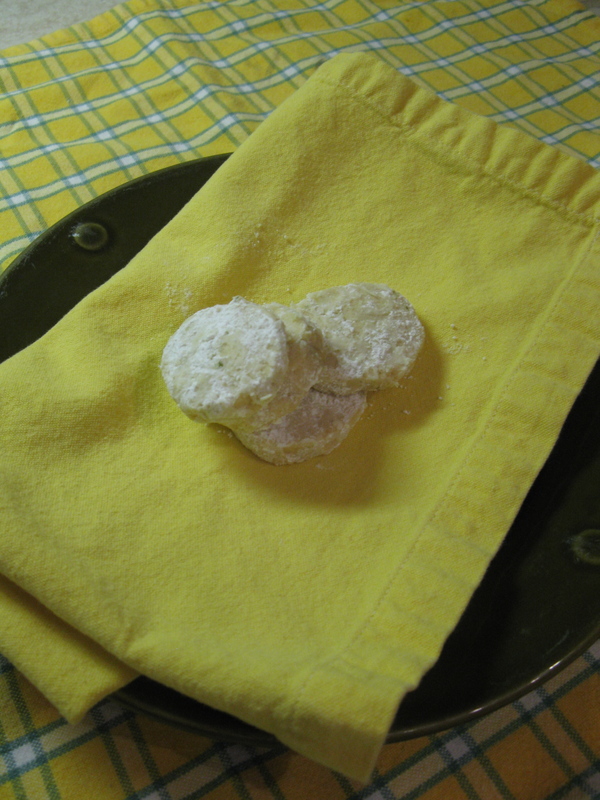 While still warm, place cookies in the sugar-filled bag; toss to coat. Bake or freeze remaining dough. Store baked cookies in an airtight container for up to 2 weeks. 2. Bake 1 cookie sheet at a time. 3. Place only 1/3 cup of powdered sugar in the bag at a time; too much sugar makes the cookies over-coated and messy. Place only 5 cookies in the bag a a time, too many cookies and you’ll end up breaking some. I used a sppn to take them out of the bag. Plastic tongs would work better, but I didn’t have any. Posted in baking, Childhood memories, Cookies and tagged dessert. Bookmark the permalink. 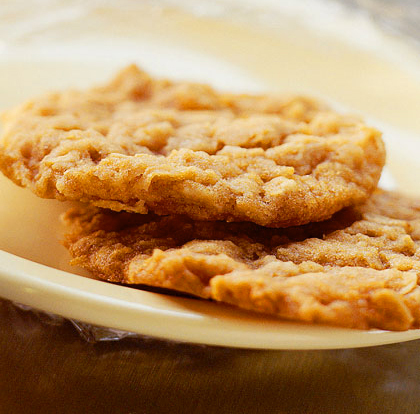 Anzac Biscuits..Australian for awesome oatmeal cookies! A few recipe notes from me: I have always used light Karo syrup instead of Cane syrup. I use parchment paper instead of greasing the cookie sheets, it makes clean-up much easier. Watch the cookies in the last 2 minutes of baking, and don’t let them get very brown, or they’ll become too hard. Plus, I have one improvement, I add 1/2 cup of chopped Craisins. 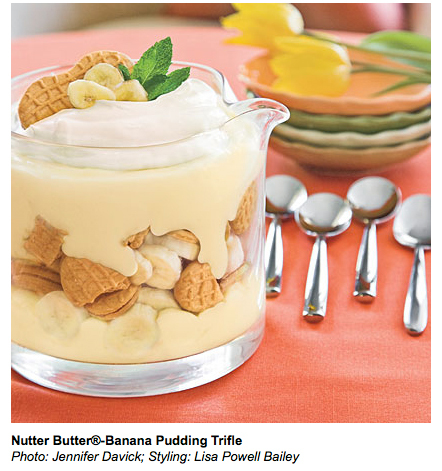 The photo is from Cooking Light so it doesn’t have the Craisins, but trust me, you’ll want to add them. So, Happy Anzac Day! (one day late) Celebrate with cookies! Posted in baking, coconut, Cookies, references, recipes. Bookmark the permalink. Life Savers and Titanic are 100 this year…coincidence? I think not…. Really, I just heard that the iconic candy turns 100 this year, and as we all know, the Titanic took its first and last voyage a century ago. No jokes, just an observation….If you Googled Titanic and stumbled upon my blog, sorry, but this is the last reference to the ill-fated vessel. Since this is a candy blog, let’s chat about the round candies. The first flavor in 1912 was Pep-O-Mint, which still holds up to this day. Other short-lived, and unfortunate flavors were Lic-O-Riche, Vi-O-let, Malt-O-Milk (really? ), and Molas-O-Mint (um, ewww). 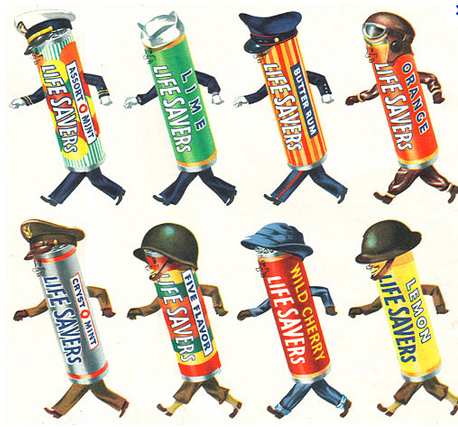 The 5 Flavor roll was introduced in 1935. According to wikipedia, these are now made in Canada, which seems odd to me. Now we have chewy ones, and all sorts of sizes, but when we were kids….there were just the rolls. As you can see from this image, they even went to war. Note how Eisenhower is the mint, and Patton, or is it Bradley, is the 5 flavor roll. Wait, is Wild cherry a pimp? 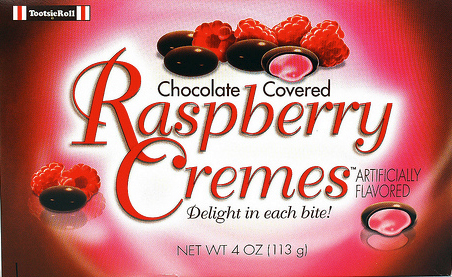 Anyway…when I was but a child, these candies were everywhere. My school friends and I would give the little flavor books as Christmas gifts. 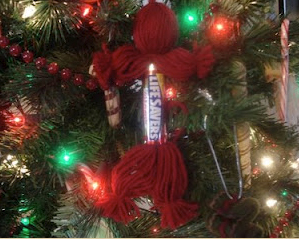 We even made craft dolls out of the rolls using yarn. Oh, those were innocent days. I can’t imagine my kids giving or receiving a Life Saver doll …but if you would like to make one, here’s a tutorial that I found. As a child, my favorite flavor roll was the Tropical flavor because it had coconut and pineapple. I never cared for the 5 flavor roll, because I didn’t like most of the flavors, they just seemed so plain. I mean who wants lime? Someone must have agreed with me because now the roll has pineapple, watermelon, raspberry, cherry, and orange. Did you ever see sparks when you chomped down on a Wint-O-Green Life Saver in the dark? It’s pretty cool. In fact, another blog claims that all Life Savers spark. Posted in Childhood memories, Hard Candy. Bookmark the permalink. Posted in Childhood memories, Peanut Butter. Bookmark the permalink. Why not surprise someone sweet with sweets? It’s almost spring up here in the frozen north. Winter lasts from November to April, and if it wasn’t for skiing, I would be pretty grumpy for 6 months. 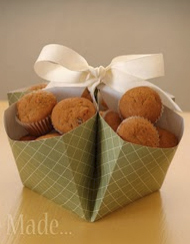 I think it’s time to bake some cookies, or muffins and package them up in cute, handmade baskets to brighten up the week. 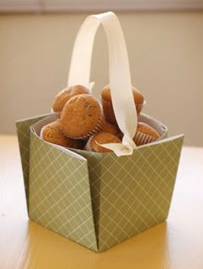 Here’s a great tutorial for a basket made from scrapbook paper and ribbon from a blog called And Then She Made. It’s really easy, and so pretty. You could put a different kind of cookie or candy in each section. These would also make great for May Day baskets to hang on neighbors doors. Let me know what you’re baking this week. I think lemon cookies are on the menu at our house! I’ll post the recipe if they’re as good as they look in the recipe book. Posted in baking, Cookies, references, recipes and tagged cookie and candy packaging. Bookmark the permalink. Yesterday I picked up a box of these at the dollar store. My expectations weren’t too high, and they were met, almost…. They look just like Junior Mints, but the filling is a raspberry, and it’s too sweet and artificial. These could be sooo much better. They need to back up and try again.